Last Thursday, a suicide bomber blew himself up in a mosque in the city of Abha in Asir province. This is not the first time a terrorist attack took place in the Kingdom. It is one of the many bombings by the so-called Daesh that caused bloodshed and disrupted life in the Kingdom. Over a dozen were martyred. Five military security members, six military security recruits and four expatriates from Bangladesh were killed. These four Bangladeshis represent millions of expatriates working, living or visiting the Kingdom. This cowardly act didn’t only devastate and anger the Saudis, it also hurt expatriates. Security and stability of the Kingdom is important to all. The city of Abha is the capital of Asir province. It has the most beautiful climate in the Kingdom. It is located in very beautiful and green mountains overlooking waterfalls that provide a breathtaking view. Abha is the favorite summer resort for many Saudis. Its people are known for their hospitality and generosity and at the same time very famous for their patriotism. The cool and serene atmosphere on Thursday afternoon in Abha was marred by a terrorist bombing that took place inside a mosque full of security personal and recruits who are trained to maintain peace and help pilgrims during Haj in Makkah. Their role ranges from helping the pilgrims to guiding those who lose their way and there are a huge number of pilgrims who need such help during Haj. But, some of our youths brainwashed by Daesh to spill blood execute the orders of the terrorists to disrupt peace in the Kingdom. It turned out after the bombing that not only Saudis stood by their leadership, but millions of expatriates rallied behind Saudis. Many expatriates like Syed Hamid Moulana, a Sri Lankan, have expressed their deepest condolences to the families of the dead. The show of unity in times of crisis by the expatriates demonstrates once again that all are behind the Saudi leadership in its fight to eradicate terrorists from our society. We saw hundreds of expatriates flocking to hospitals in Abha and the surrounding cities to donate blood for the injured. The situation was handled in a few hours. The cooperation between the Saudis and the expatriates helped the authorities cope with the situation in a smooth way, especially at a time when there were many casualties. So, what did these terrorists achieve by attacking a mosque and killing security personnel and four Bangladeshis who came to work in Saudi Arabia to support their families. Well, they did not achieve anything. 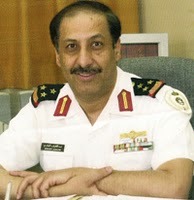 The Saudi society is becoming stronger, the morale of our security personnel is high and they are more determined to fight back with more precise techniques. Now, many people, not only in the Kingdom but elsewhere are joining hands to eradicate this scourge and fight terrorists who don’t differentiate between people they intend to kill. The world is plagued by blood-thirsty terrorists who don’t have any mercy or regard for the innocent lives. But, what happened in the Saudi city of Abha shows the cowardly behavior of these terrorists who chose to attack soft targets like mosques in an effort to divide Saudis. But, as it turned out they have failed to divide the society. Their attacks make us stronger, more united and more determined to protect the Saudi soil. This time the terrorists must have seen not only unity among Saudis against their heinous act, but also between Saudis and expatriates. We have 15 heroes who died in Thursday's terrorist attack. We will remember them and we will never forget the four Bangladeshi heroes. And with them we will always cherish the patriotic stand of other expatriates. So, let us all join hands to fight terrorism. As for Daesh, you are losing and you will never be able to divide us. At the end of the day you will be eradicated forever. Your actions against places like mosques show how low you are and that you are dying. Written by Abdulateef Al-Mulhim. Expat Heroes in Asir Mosque reprinted with permission of Arab News and Abdulateef Al-Mulhim.